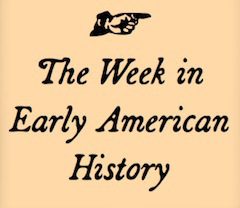 As Americans gather round the tv, settle into their couches, and devour unhealthy amounts of wings while encouraging concussion culture watching football, the world of early American history news moves on. Let’s hit the links! Speaking of contact sports, Obama delivered his State of the Union Address, which prompted lots of discussion on executive orders. Jon Meacham oddly argued that previous presidents like Lincoln and FDR didn’t execute similar actions, but then later offerd an apology for the mistake—which, ironically, actually is something FDR never did. Over at The Beehive, MHS’s excellent blog, Dan Hinchen explains the important and useful relationship between the librarian and the researcher. And speaking of crossover, Merlin Chowkwanyun and Karen Tani have a thoughtful take on the possibilities of dual degrees as we (re)consider expanding PhD usefulness. If you are into history (as we all are) and in the Boston area (which we all wish we were), this looks fun. And finally, new issue of Common-Place is hot off the (digital) press, and is all about the memory of the Civil War.